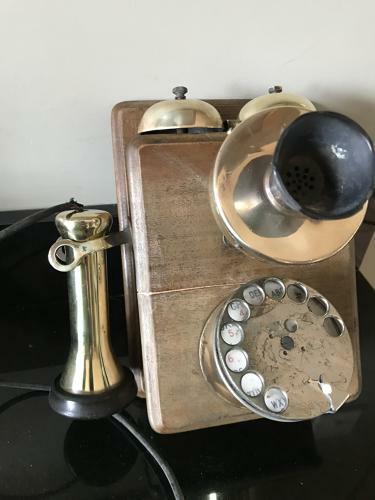 For sale our old telephone! We have had this in our collection for many years and it is time for a new home! Dated 1930 on rear it has the induction coil attributed to earlier sets. It is great as a looker just hung on the wall as we have had it but would also make a good restoration project which could double it's price.